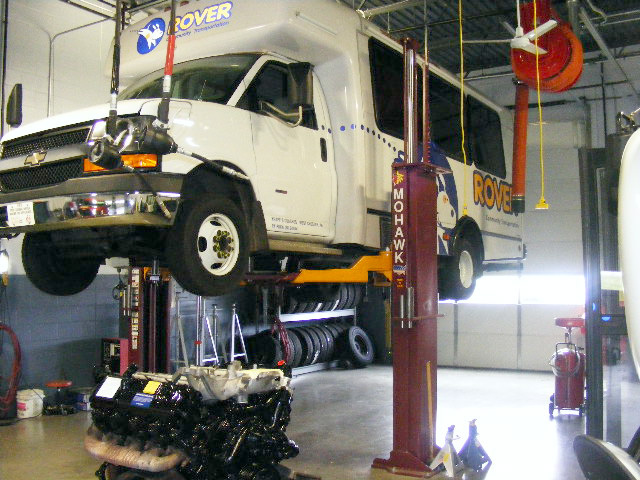 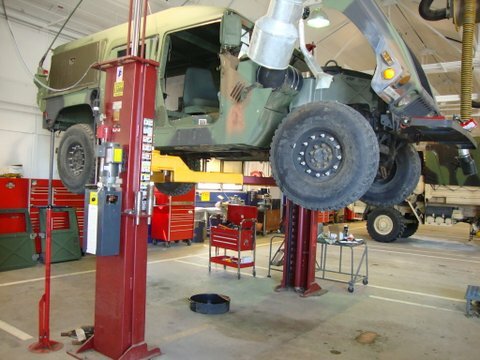 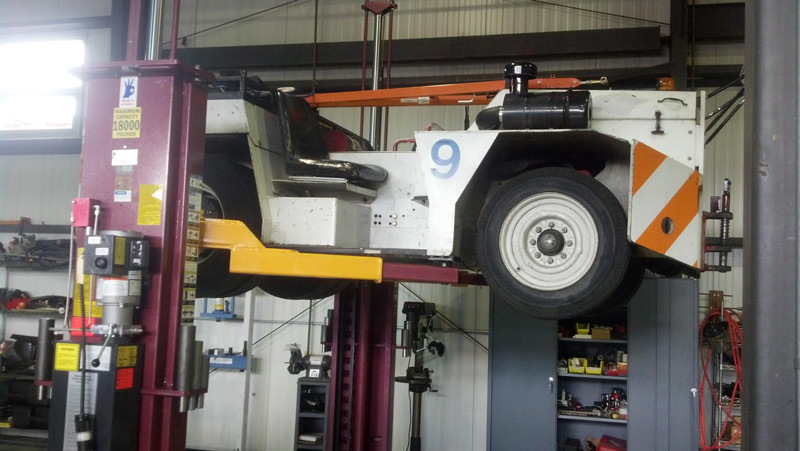 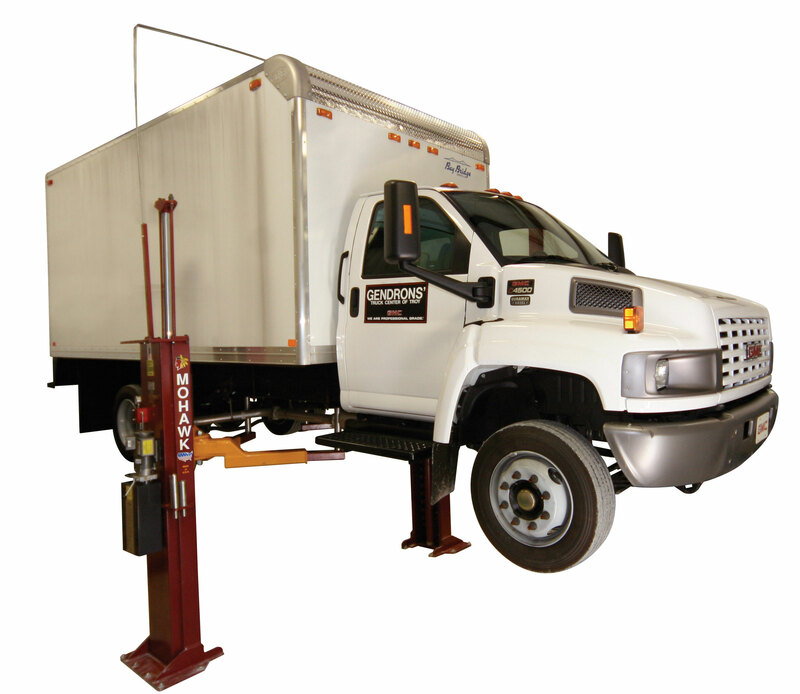 Mohawk’s TP-18 is a clear floor above ground lift capable of raising medium duty vehicles up to 18,000 lbs. 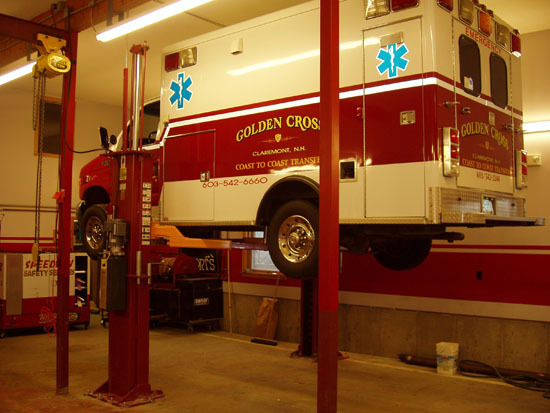 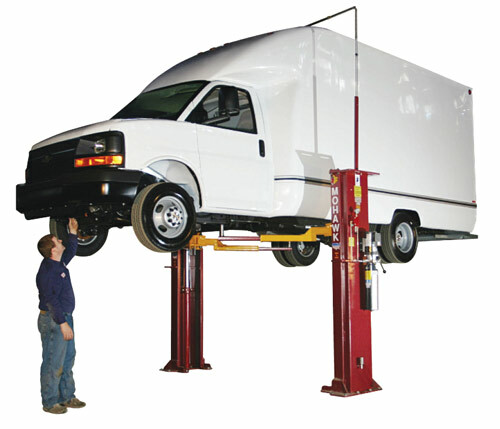 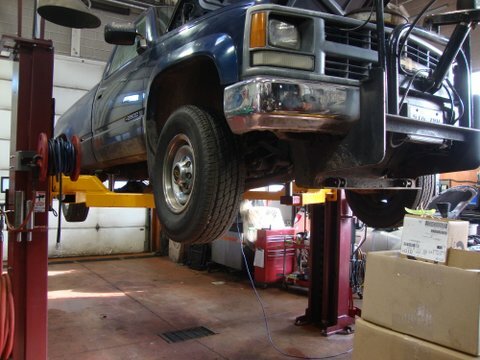 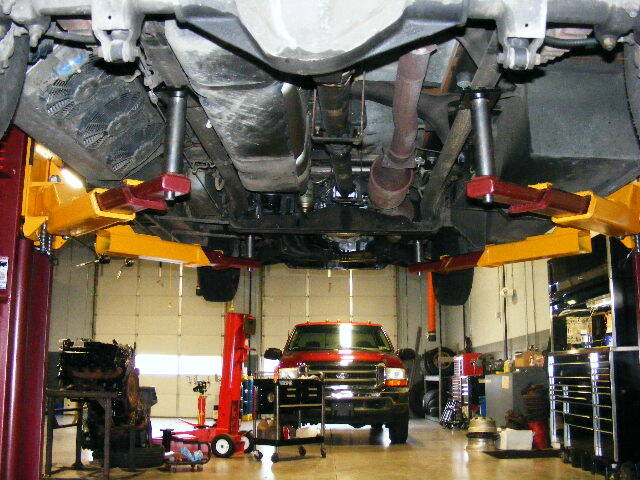 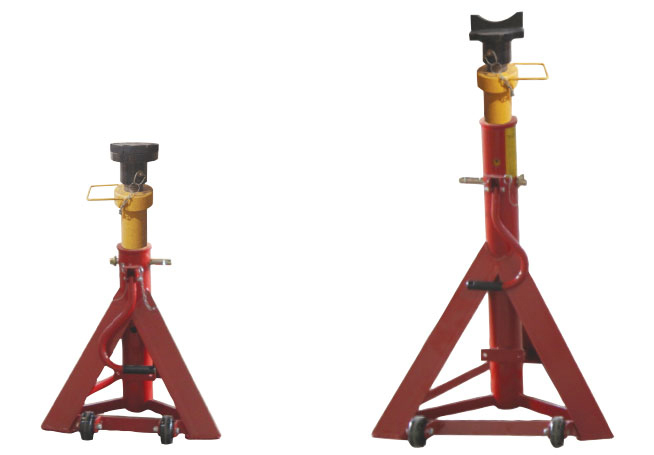 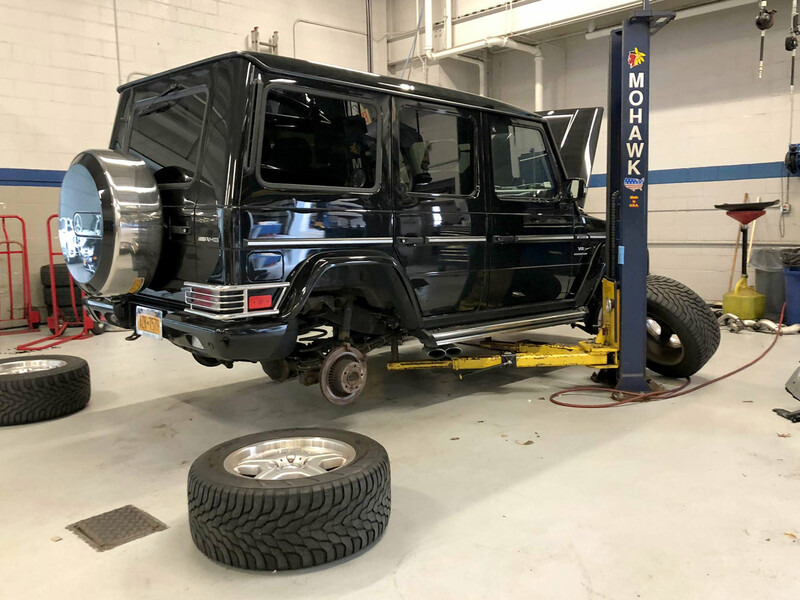 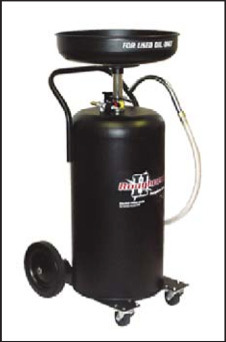 This is a 2 post medium to heavy duty lift that handles the widest variety of small, light duty duty passenger cars to one ton utility, work, and service trucks. 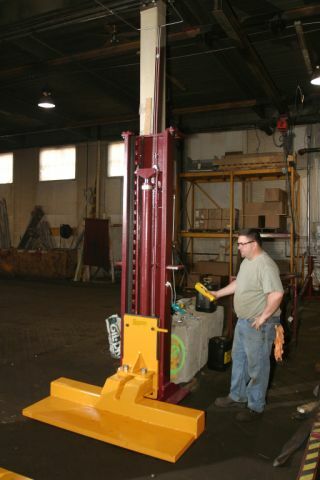 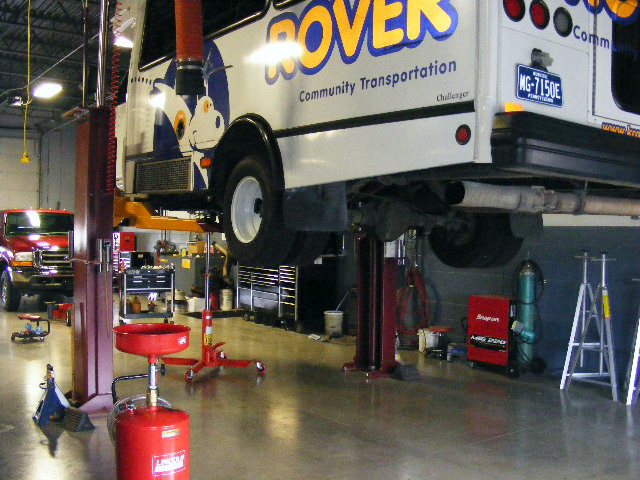 For additional information visit www.mohawklifts.com or call 1-800-833-2006, or fax us at 518-842-1289. 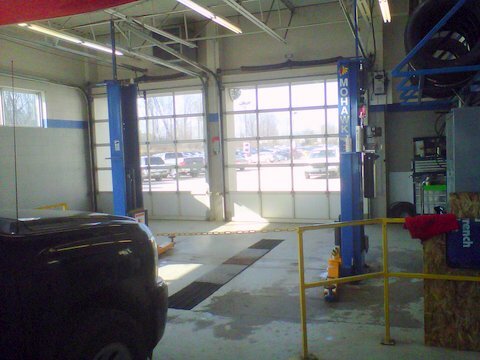 Write us at PO Box 110, Amsterdam, New York 12010. 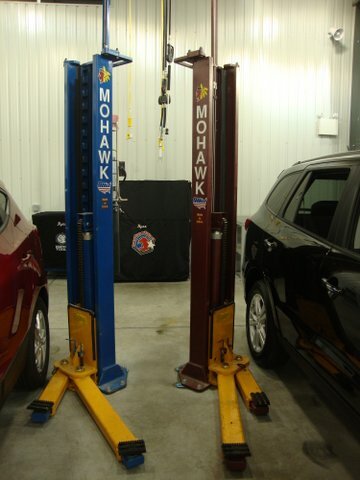 Like us at www.facebook.com/mohawklifts. 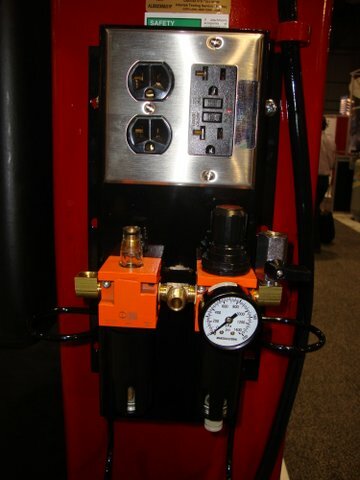 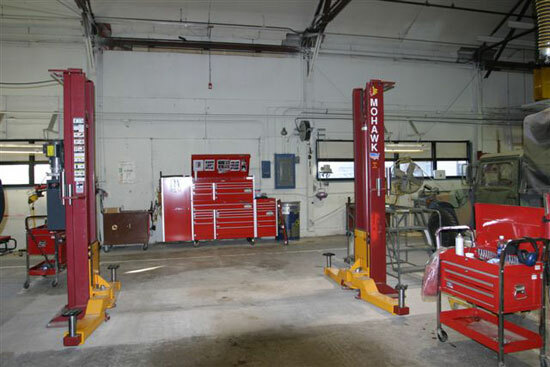 Please visit www.mohawklifts.com/pr for high resolution photos and additional press releases. 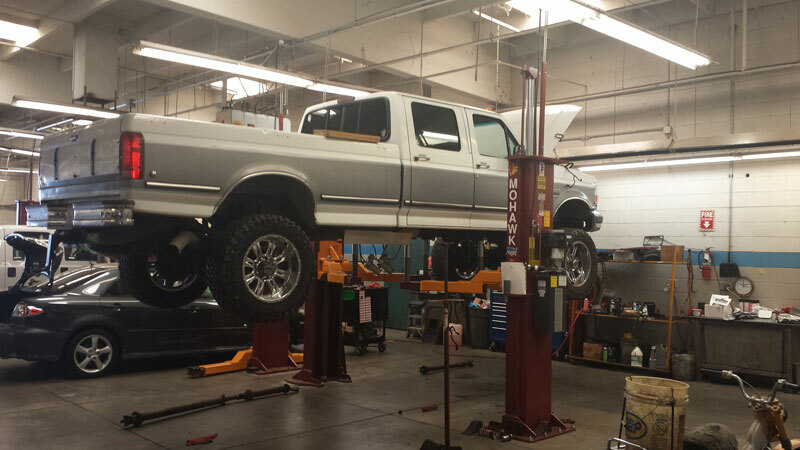 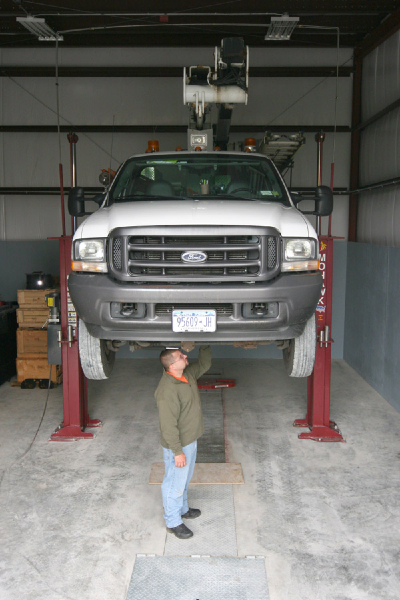 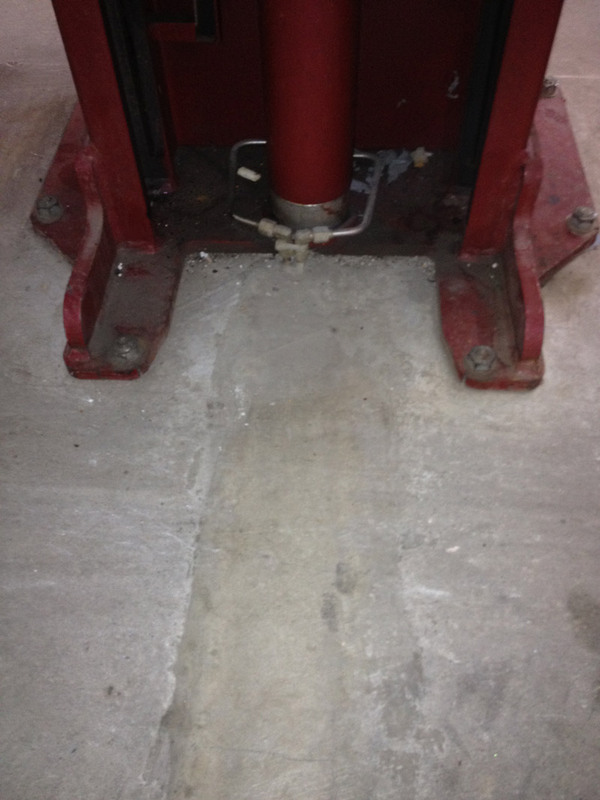 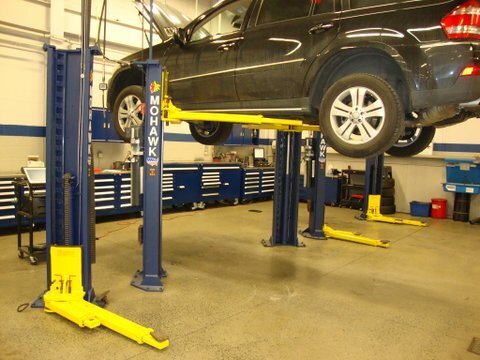 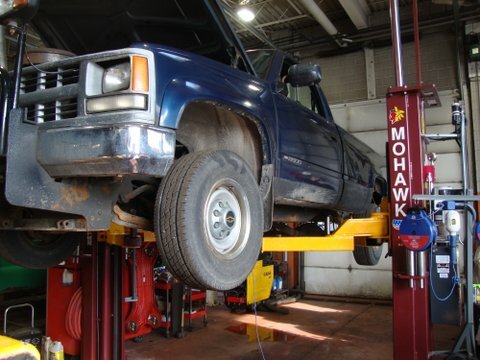 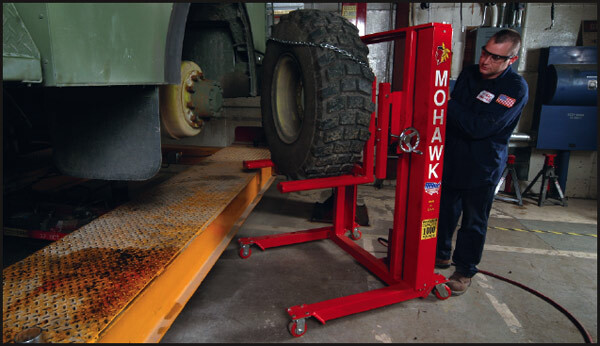 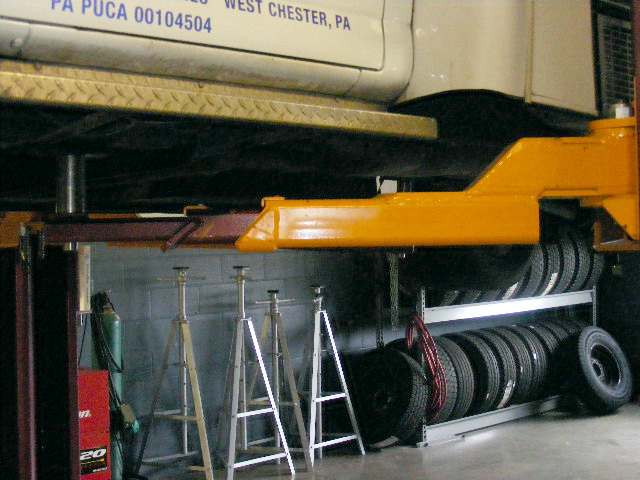 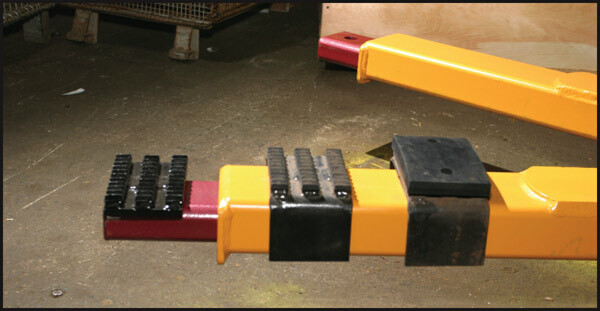 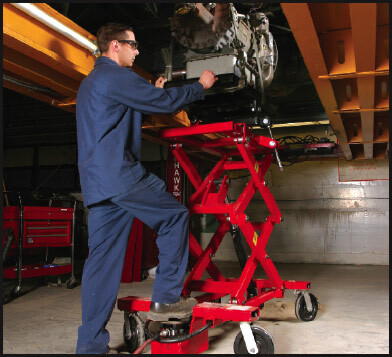 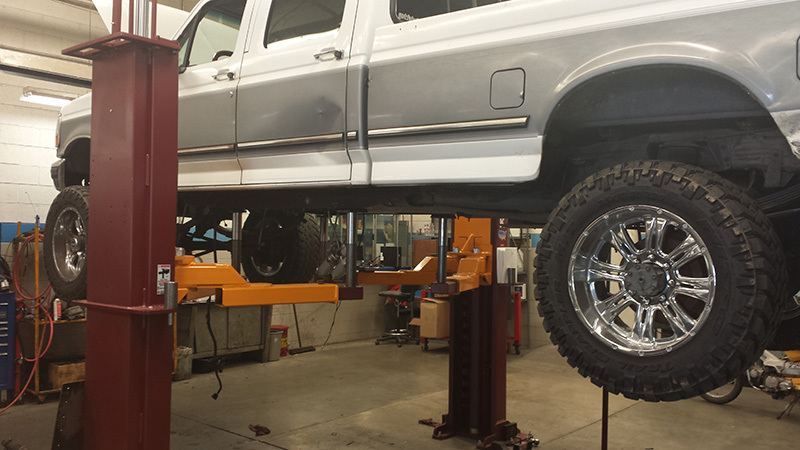 Mohawk Lifts introduces height adjustable screw type lift pads. 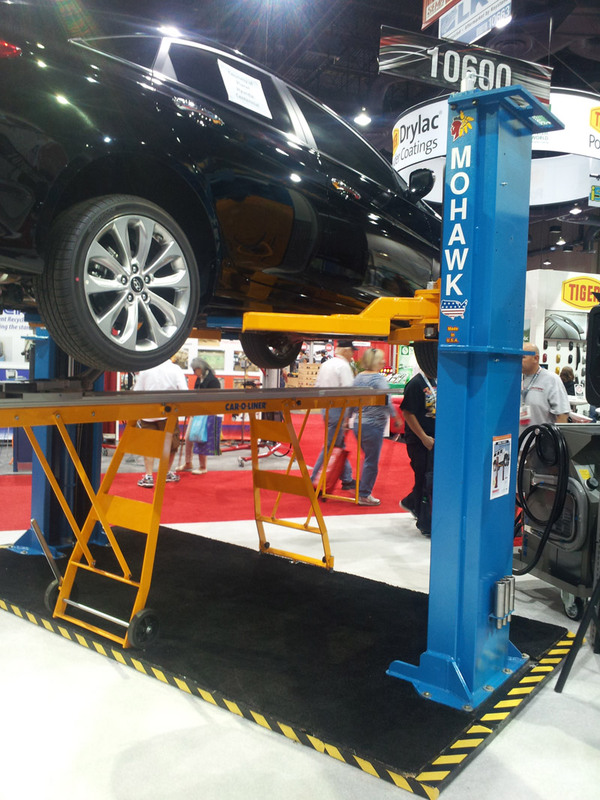 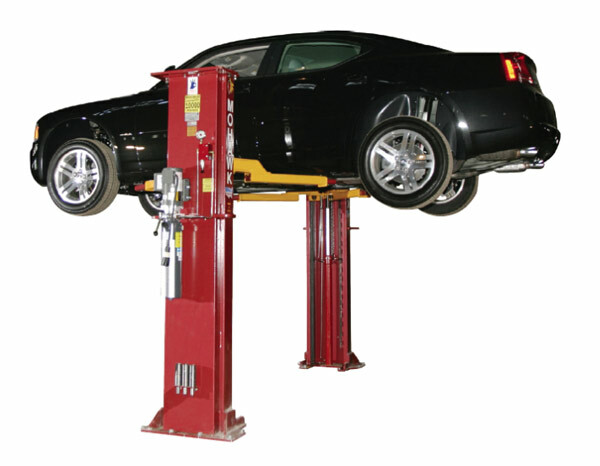 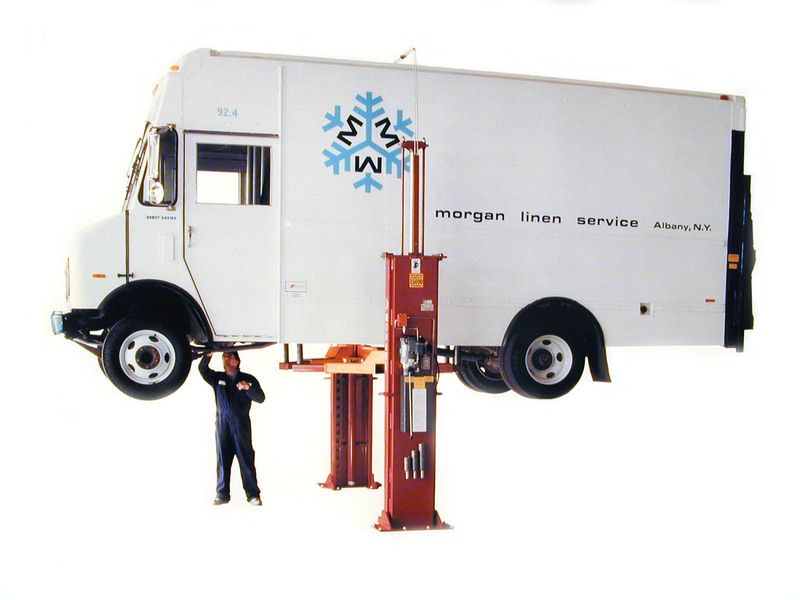 Mohawk’s adjustable screw pads are available for all 7,000 to 20,000 lb capacity two-post vehicle lifts. 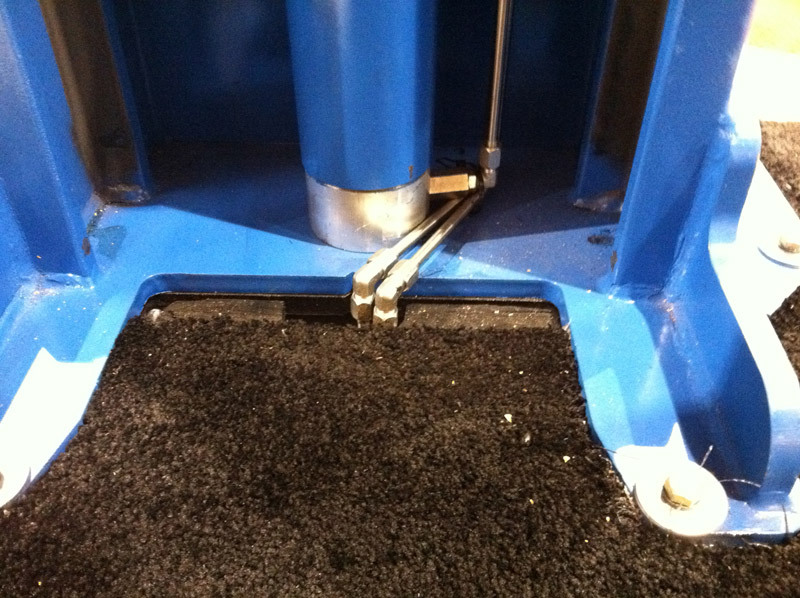 The adjustable screw pads are available in rubber or steal top pads and give an additional 3+” of fine pad adjustment. 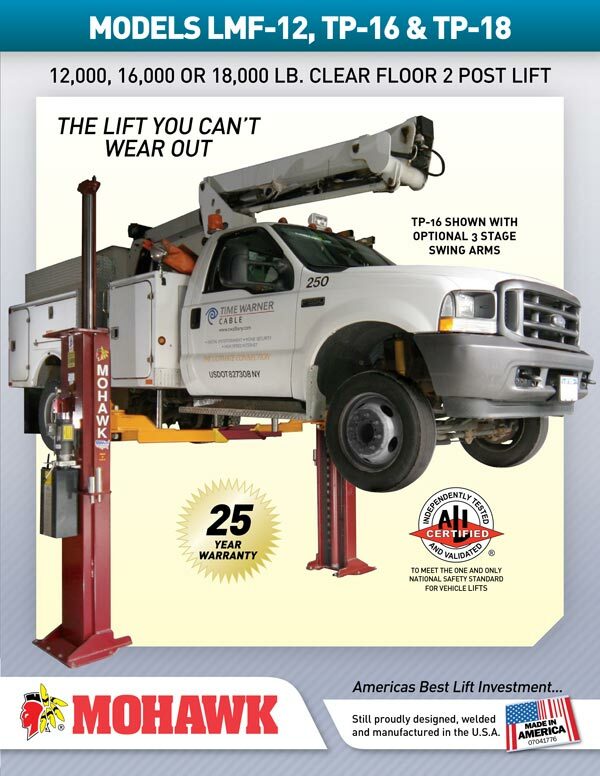 All Mohawk 2 Post Lifts now carry a 25 year structural warranty. 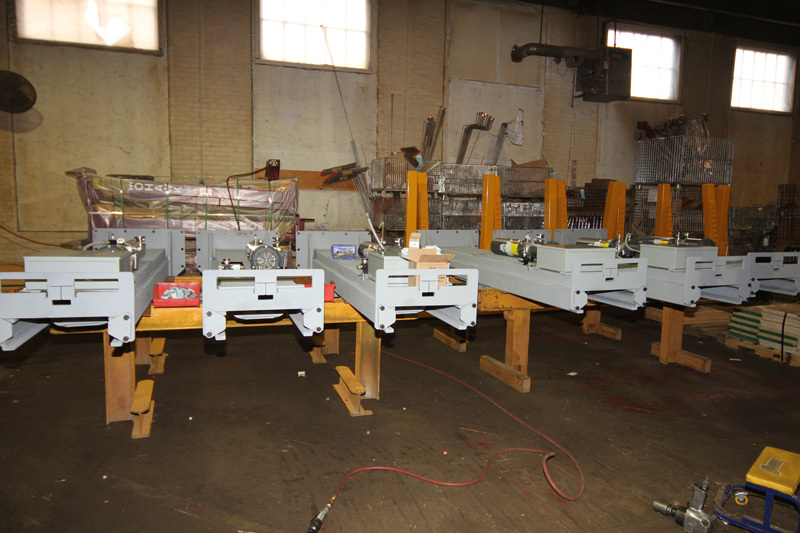 This will cover the columns, carriages, and swing arms. 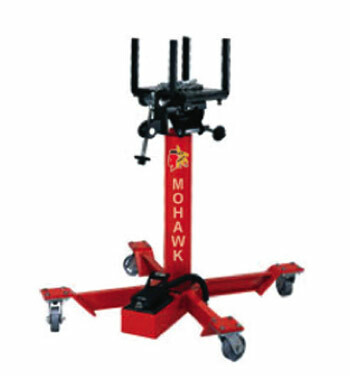 Established in 1981, no Mohawk two post lift user has yet to “wear out” a Mohawk lift. 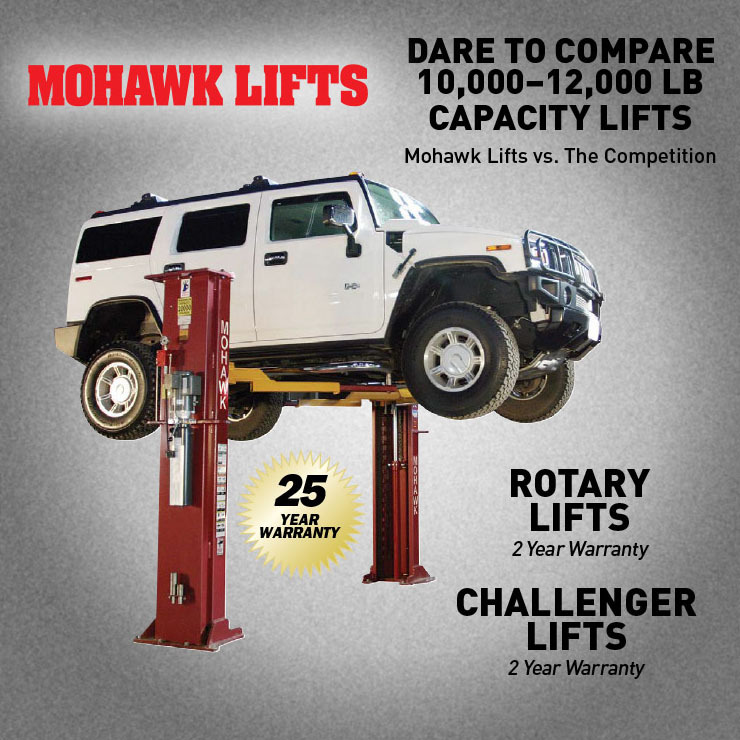 Mohawk is the only lift company who manufactures their lifts to last forever. 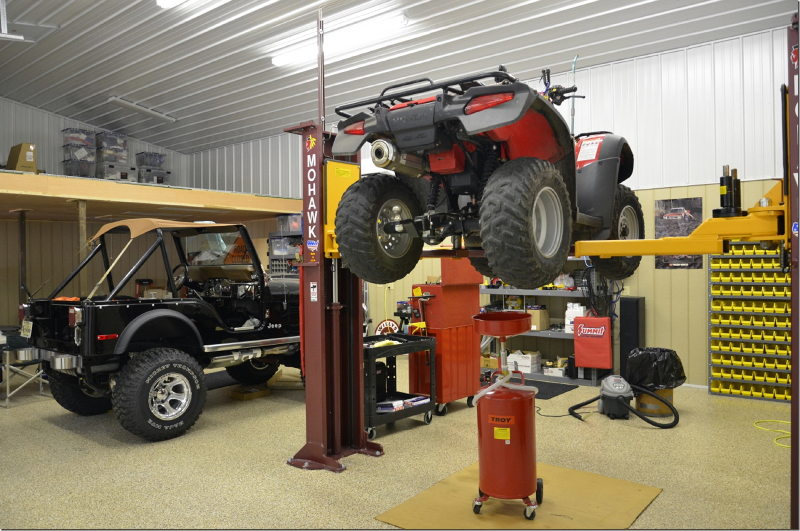 “We made our warranty like our lifts because we know a shop can’t wear out a Mohawk lift” said company president Rick Wells. 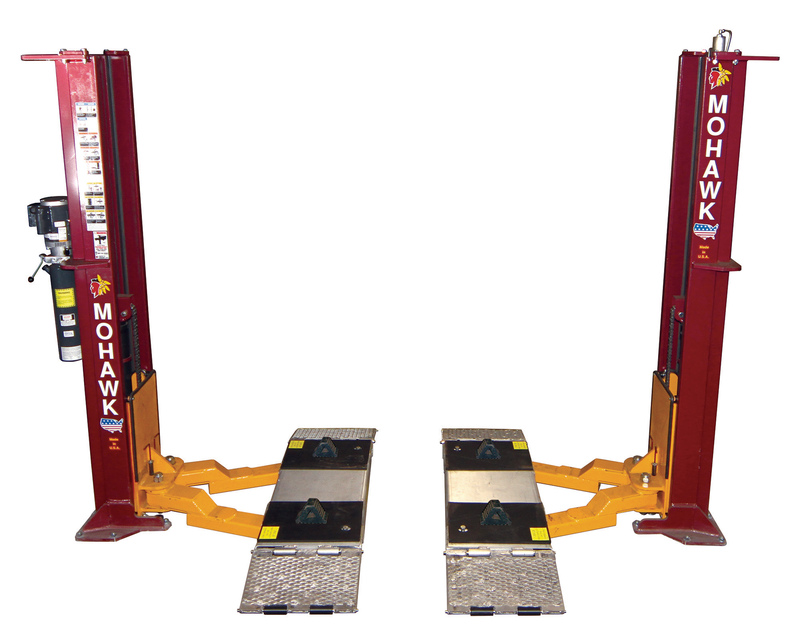 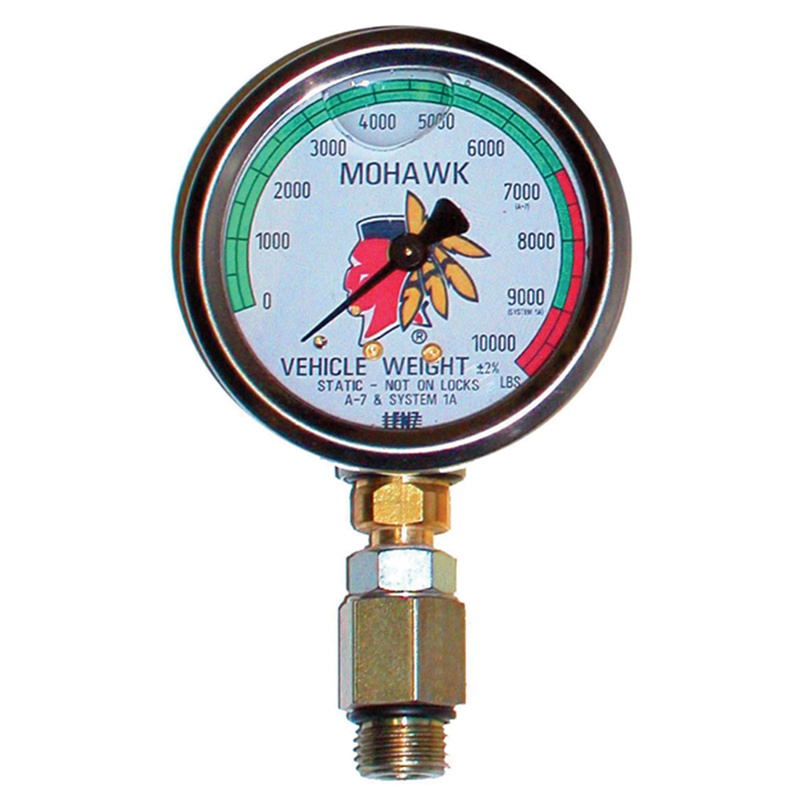 Mohawk’s two post lifts range in capacity from 7,000-30,000 lbs. 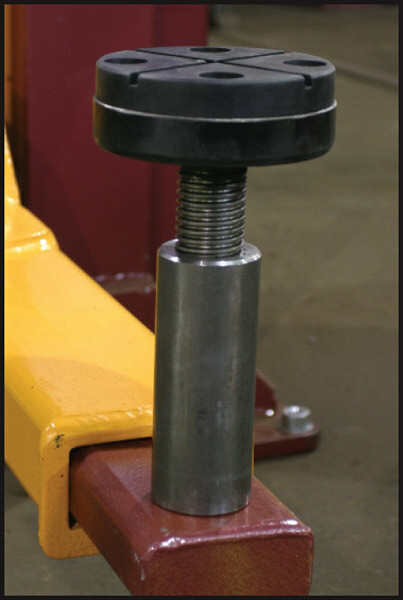 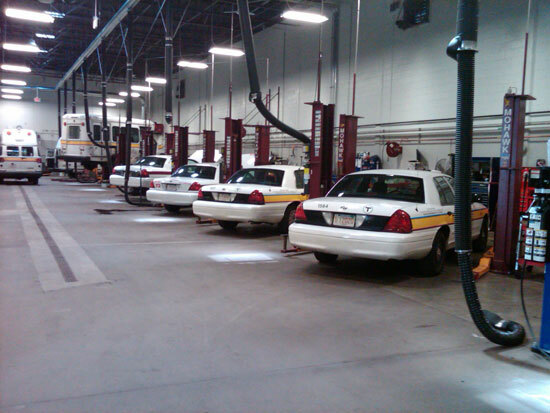 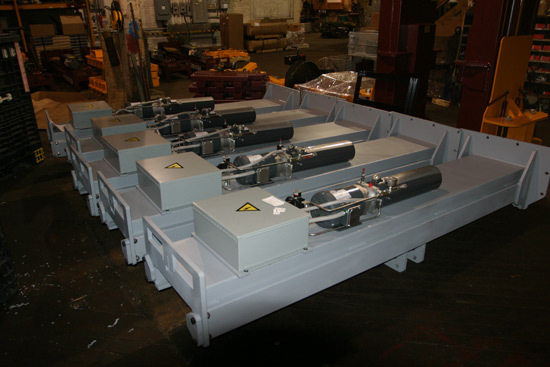 They come in the following capacities; 7,000 lbs., 10,000 lbs., 12,000 lbs., 16,000 lbs., 20,000 lbs., 26,000 lbs. 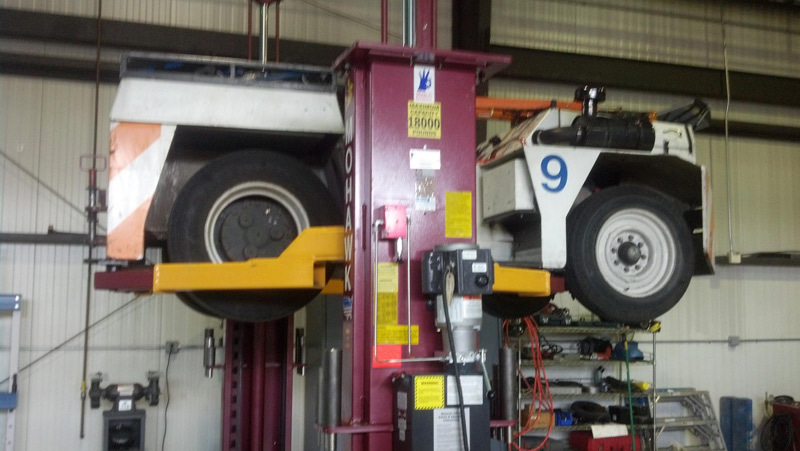 and 30,000 lbs. 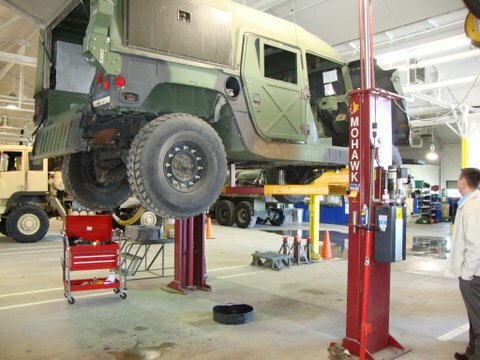 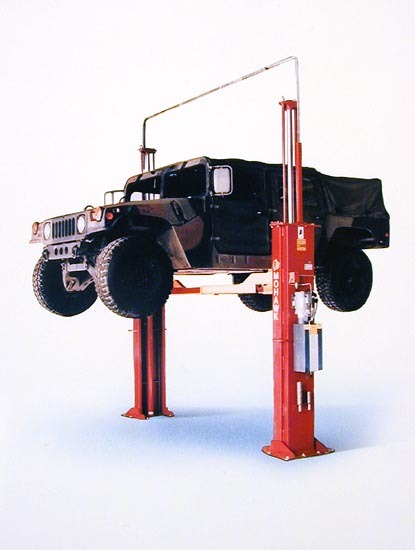 The two post lifts range from light duty to medium duty lifting. 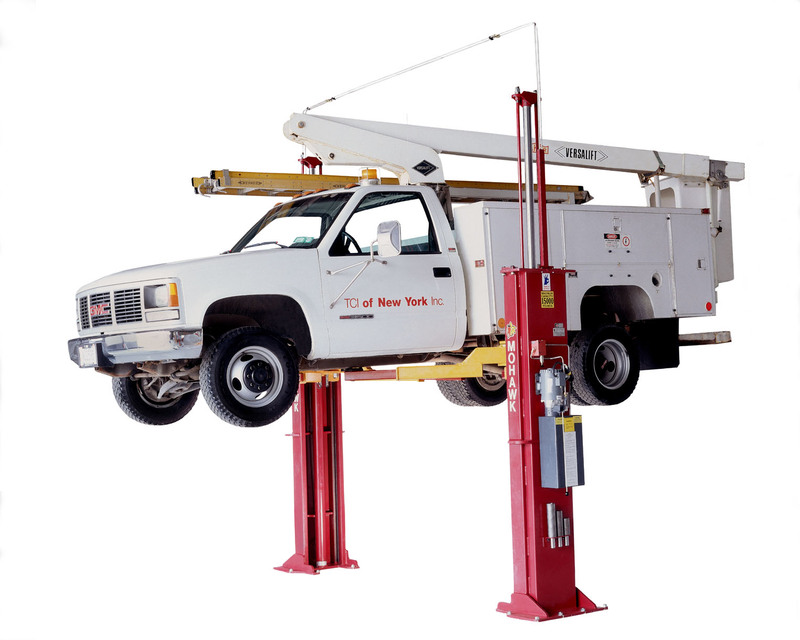 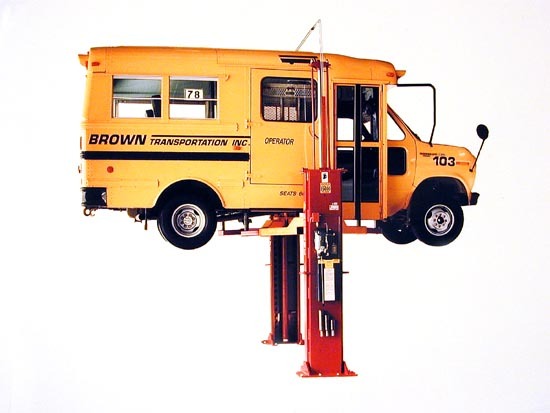 The two post lifts are capable of raising passenger cars to utility trucks. 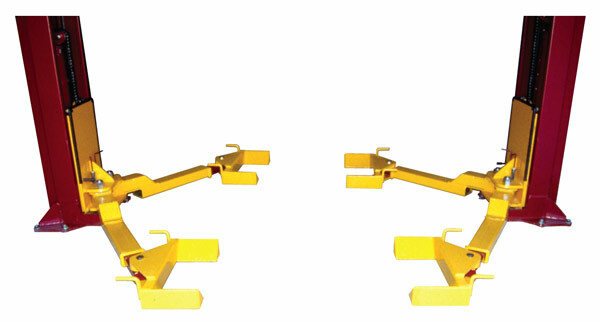 The two post lifts have both an asymmetric model and symmetric models. 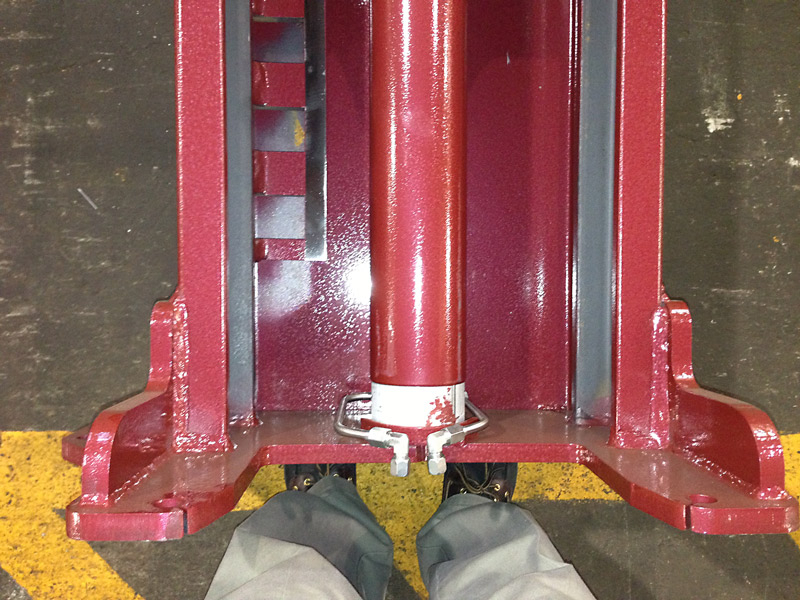 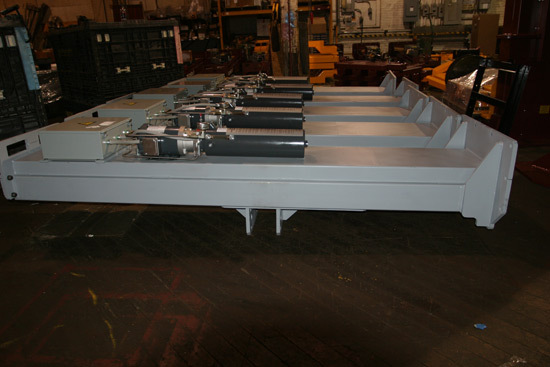 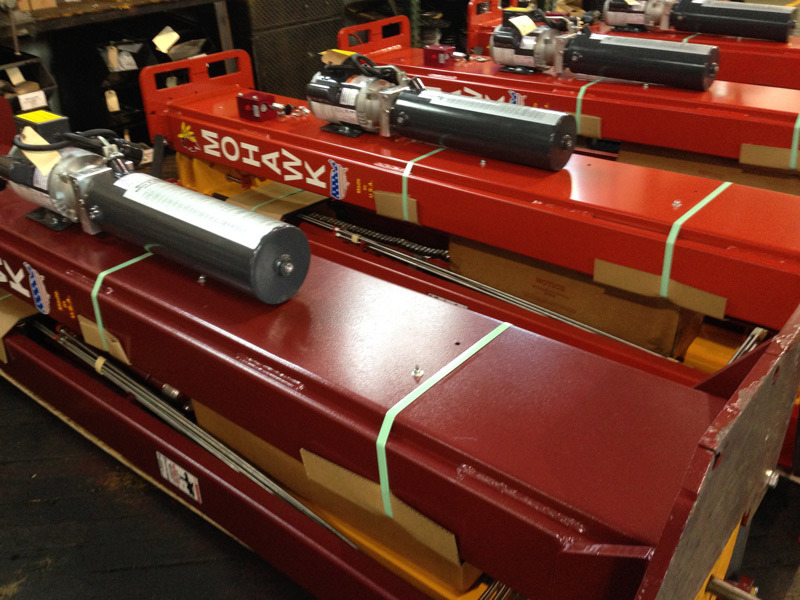 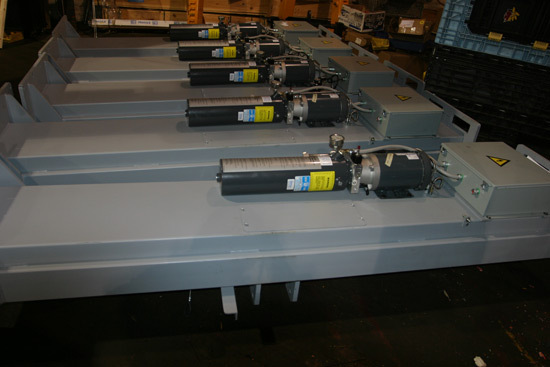 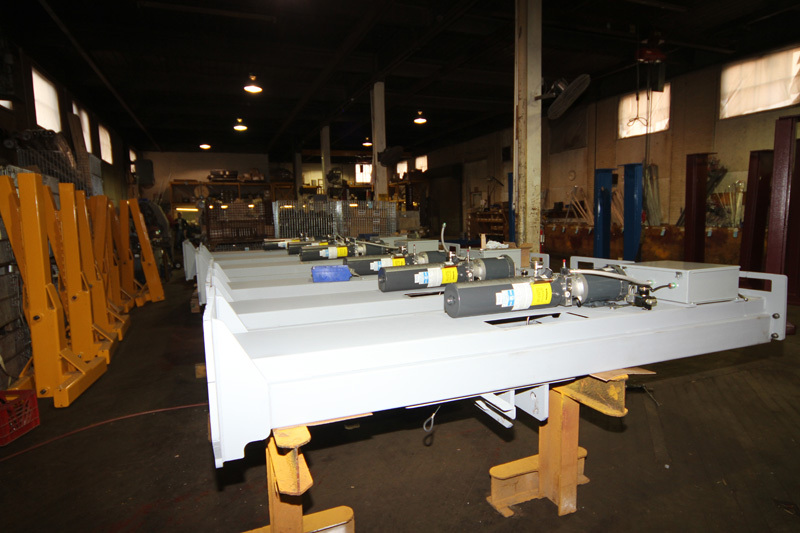 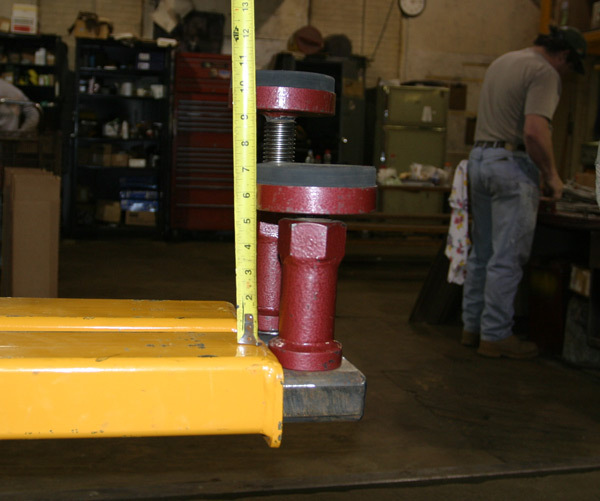 All of Mohawk Lifts are designed and manufactured in the USA. 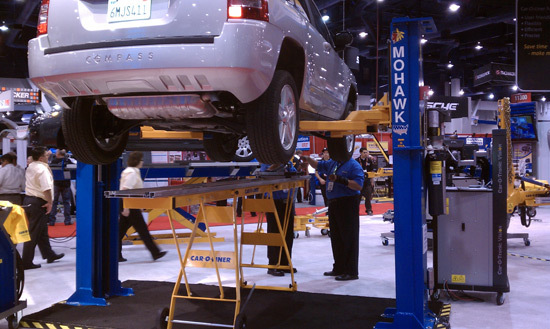 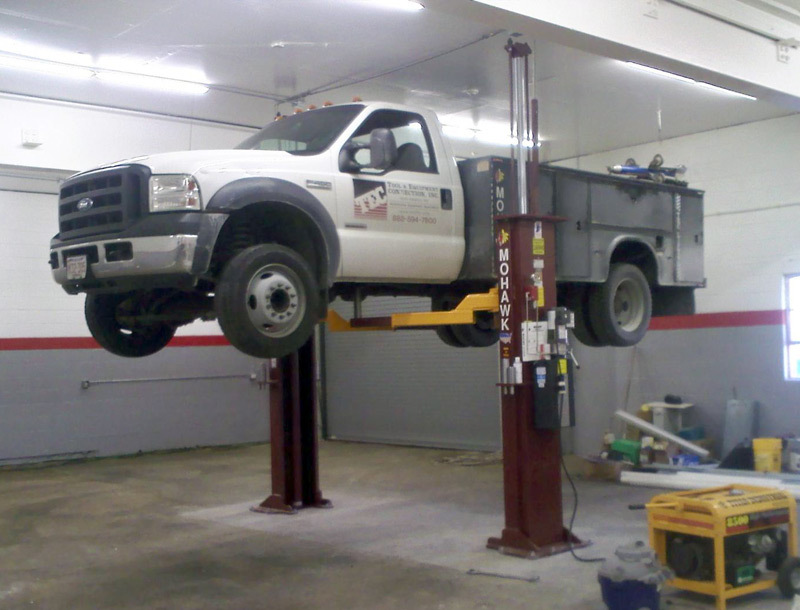 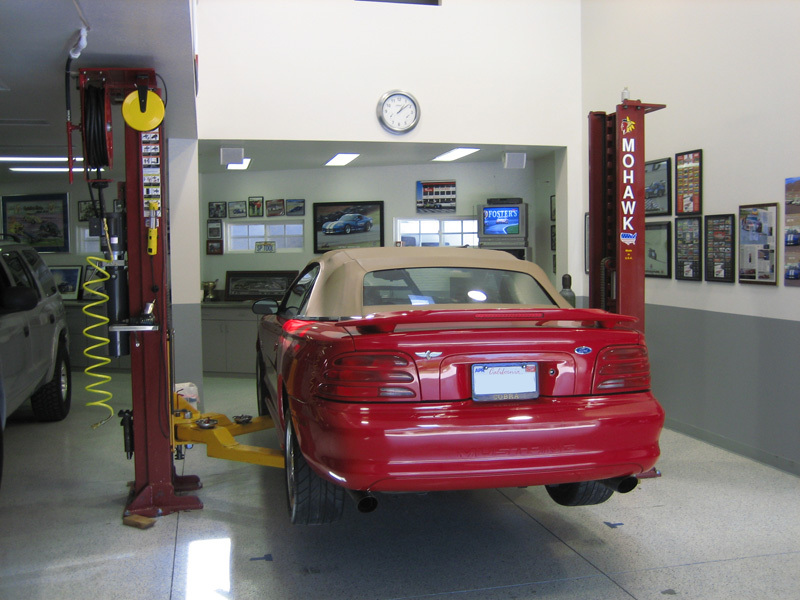 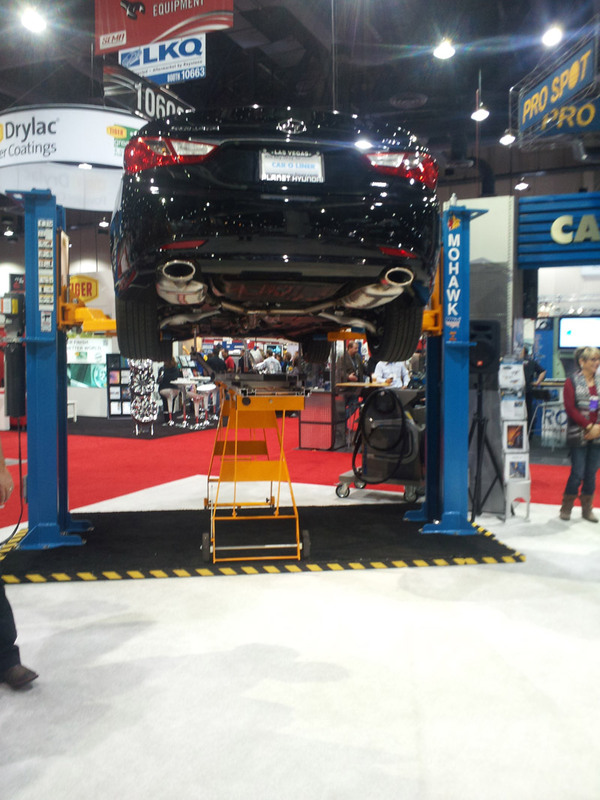 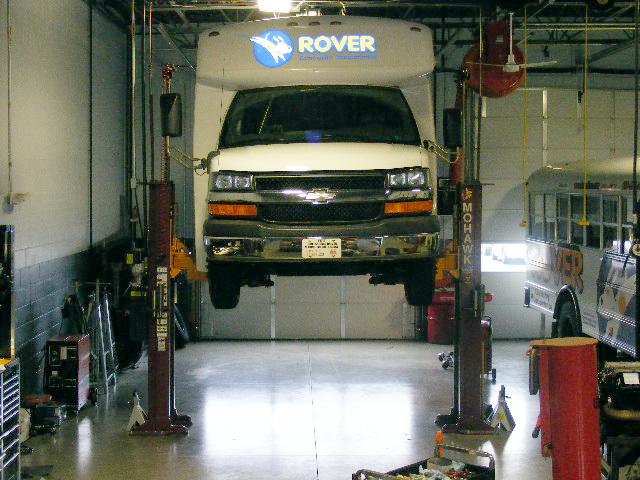 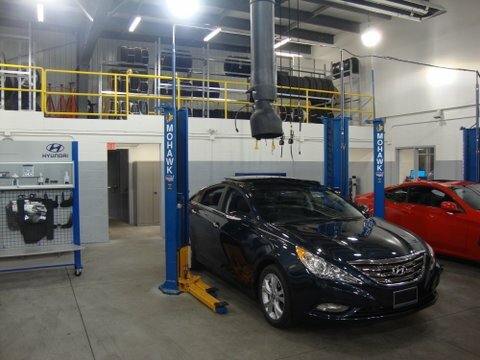 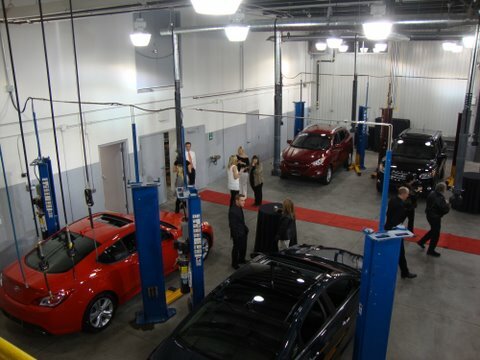 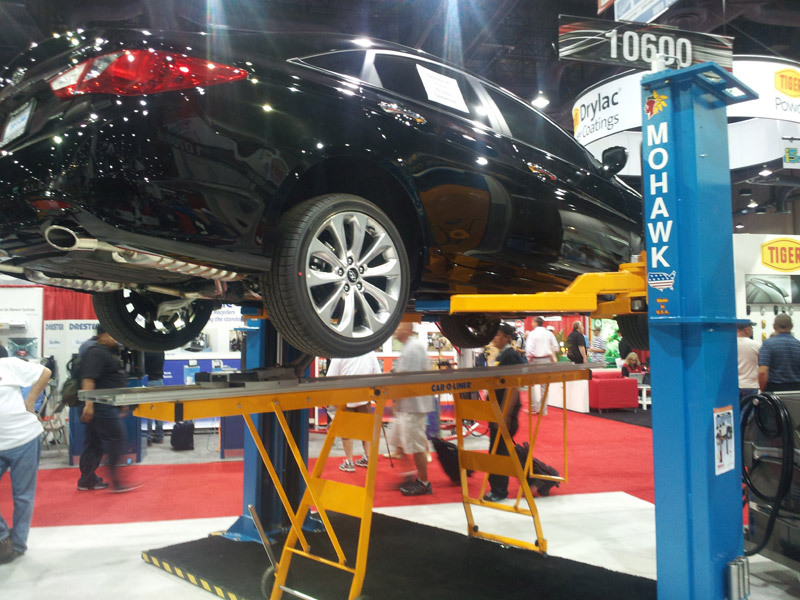 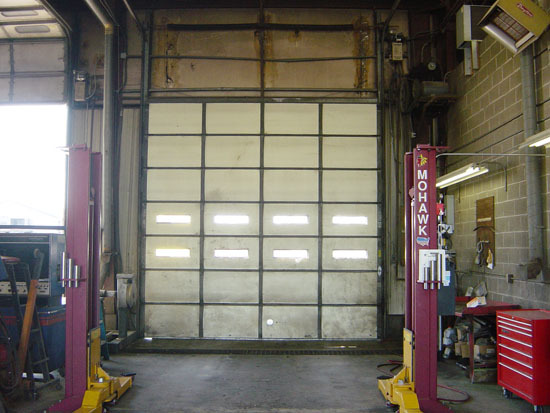 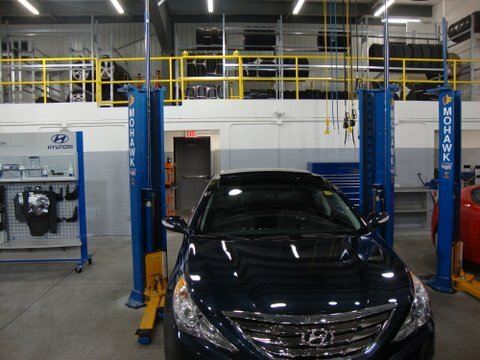 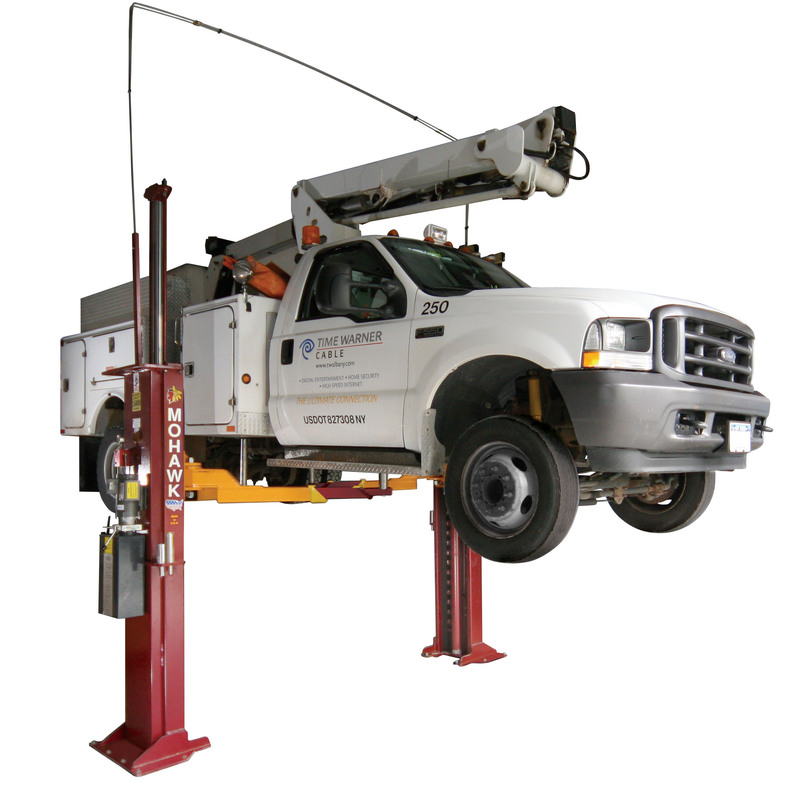 All of Mohawk’s two post lifts are ALI/ETL certified to meet the one and only National Safety Standard for garage lifts. 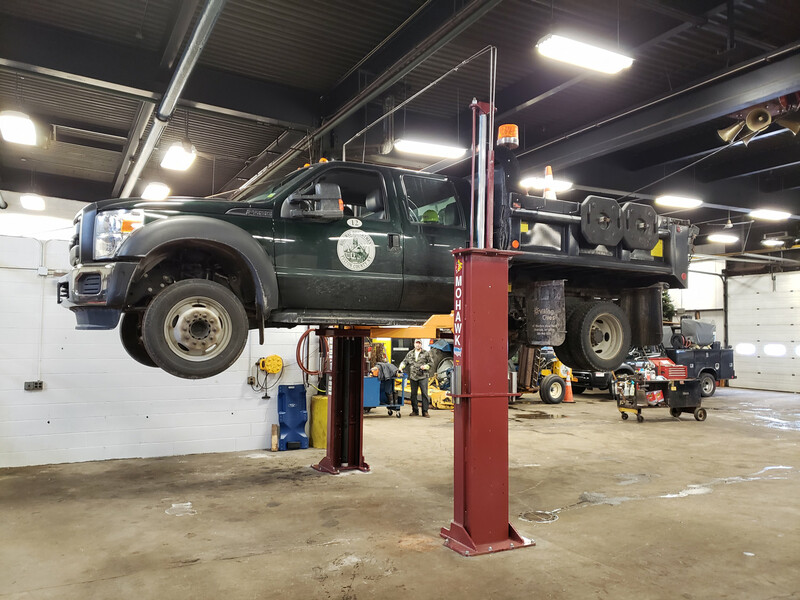 Mohawk’s two post lifts comes with a 25 year structural, 10 year mechanical, plus a limited lifetime hydraulic cylinder warranty. 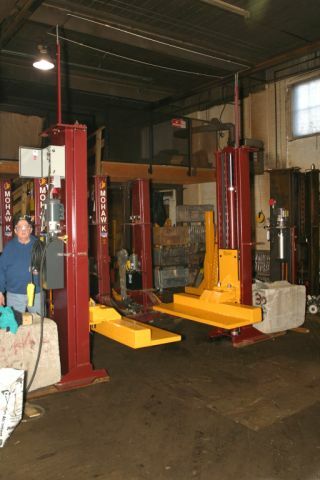 For more information please visit www.mohawklifts.com, call 1-800-833-2006, fax 518-842-1289, or write to P.O. 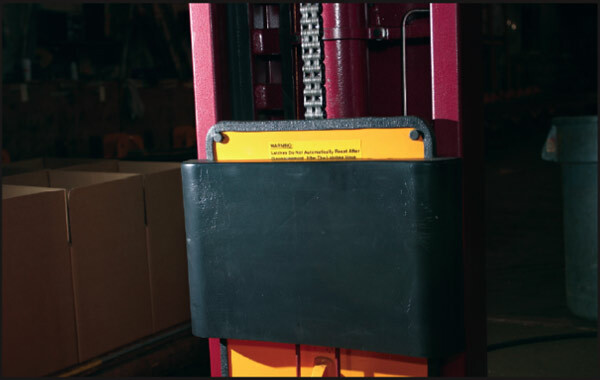 Box 110, Amsterdam, NY 12010. 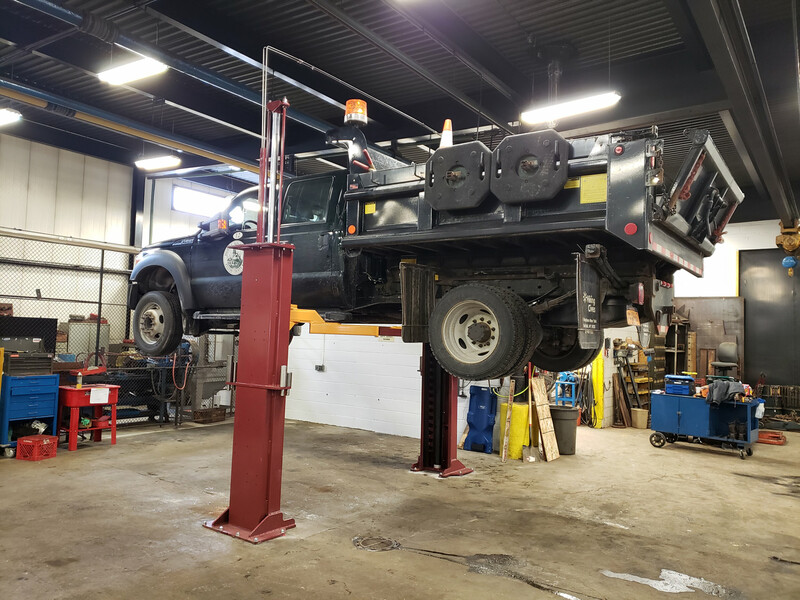 Amsterdam, NY Mohawk resources ltd. 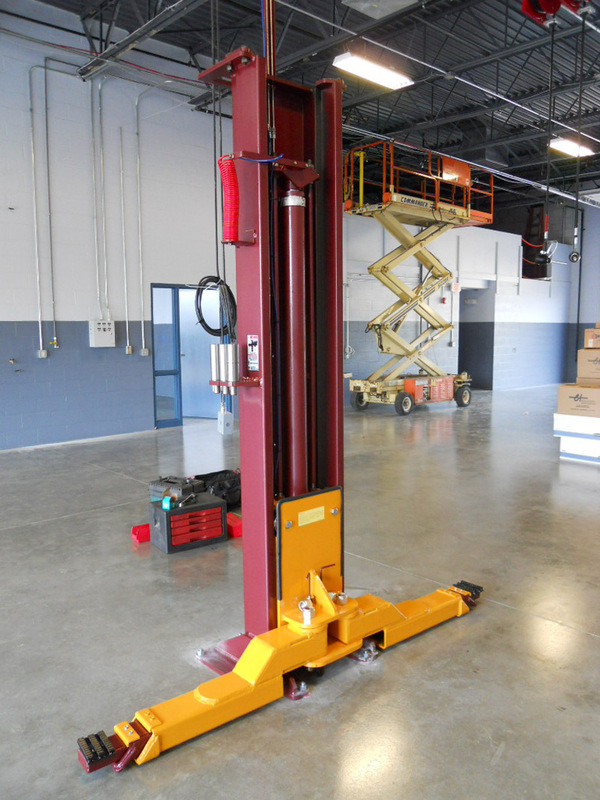 The nations leading manufacturer of heavy duty surface mounted lifts announces the newest addition to the product line, the 18,000 lb capacity model TP-18 and the 26,000 lb. 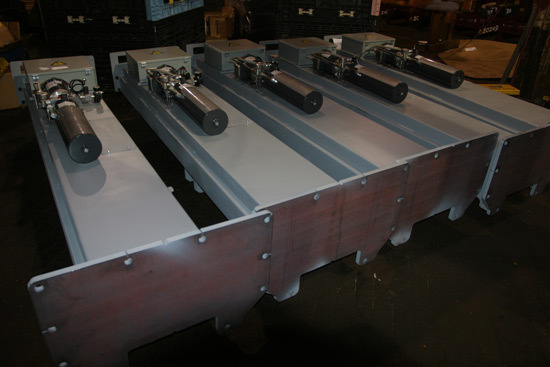 Capacity TP-26. 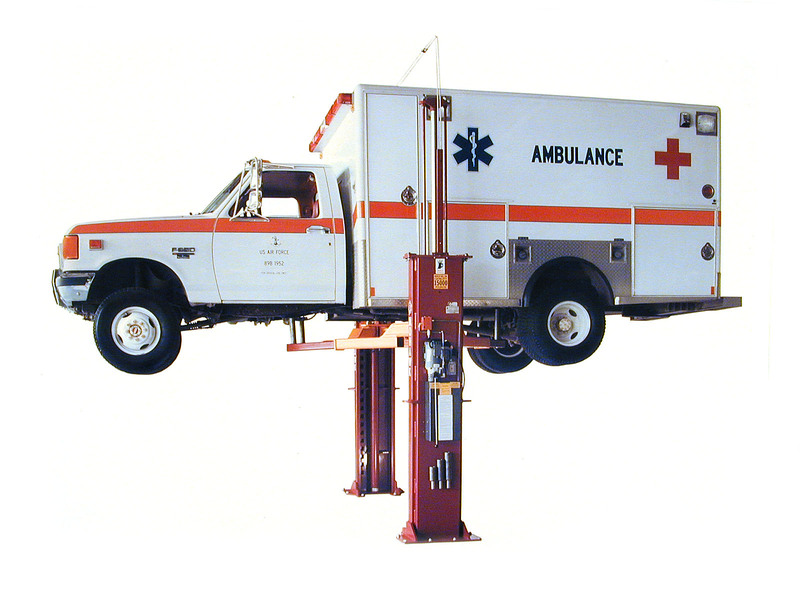 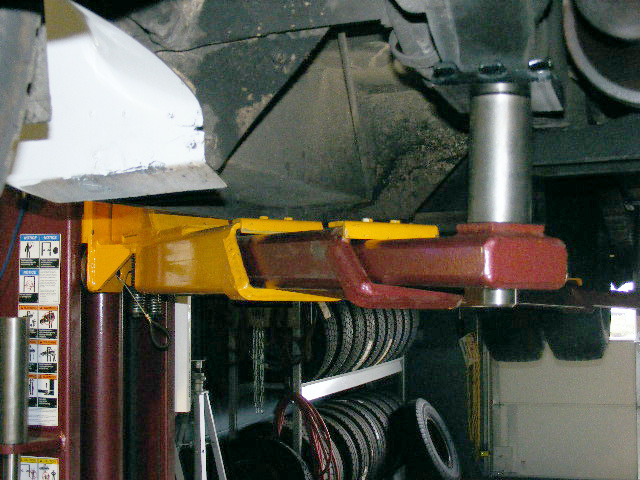 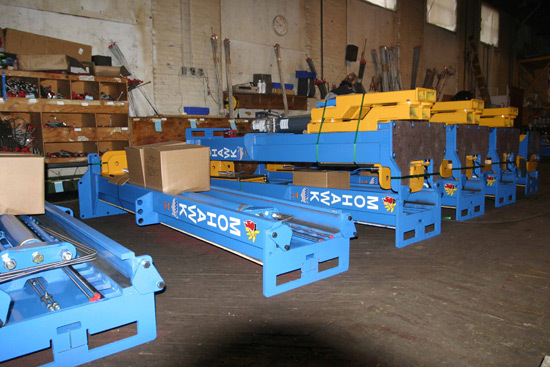 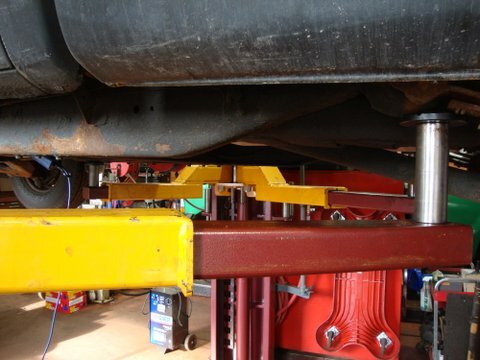 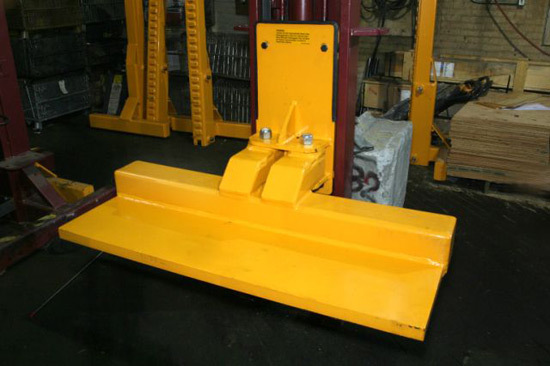 The TP-18 and TP-26 are the first, two post, frame contact lifts made to suit the needs of heavy duty fleets, with an above ground style lift. 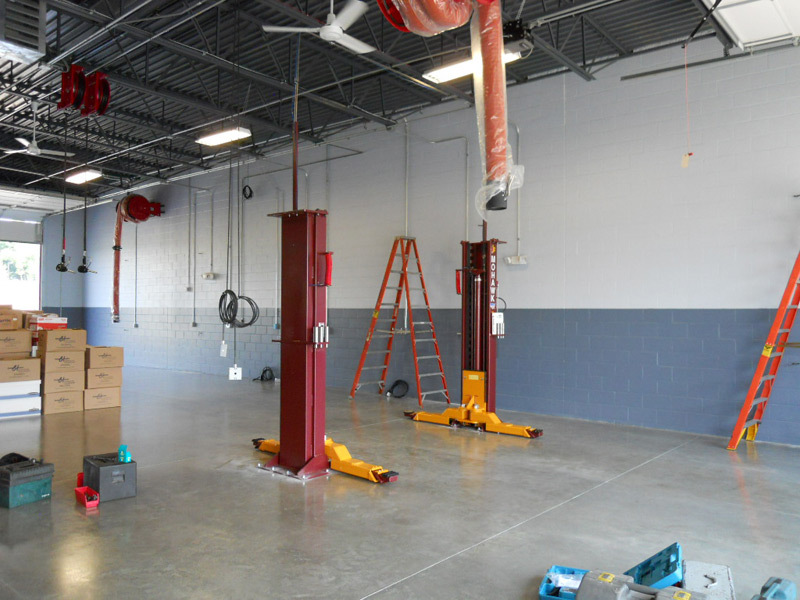 Installation of the lifts consists of just bolting the lifts columns to the concrete floor of the shop, and is completed in just 5 hours. 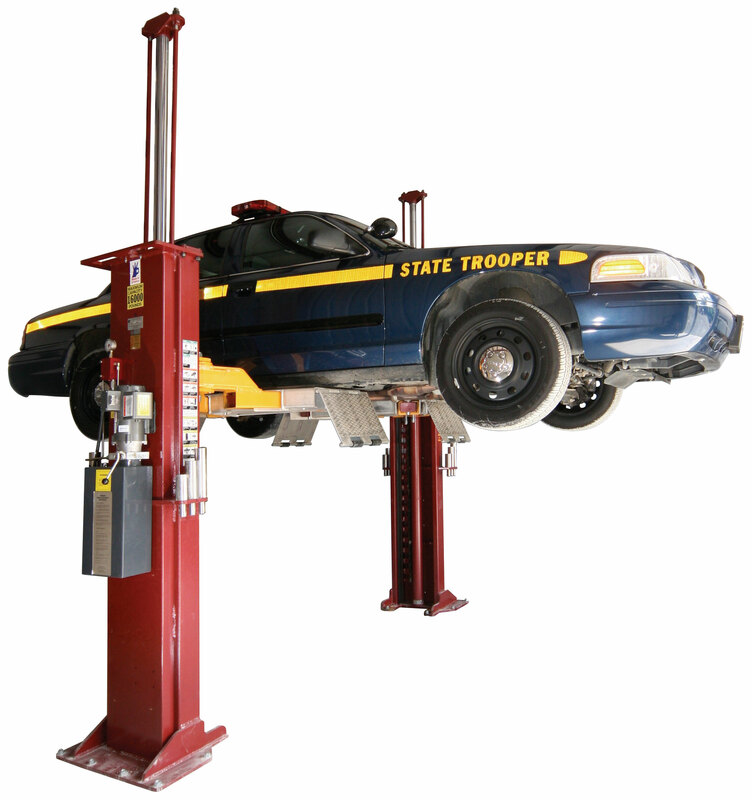 With a full six foot lifting height, the TP-18 and TP-26 models offer infinite position mechanical locking safeties in both columns, backed by mohawks patented hydraulic locking system. 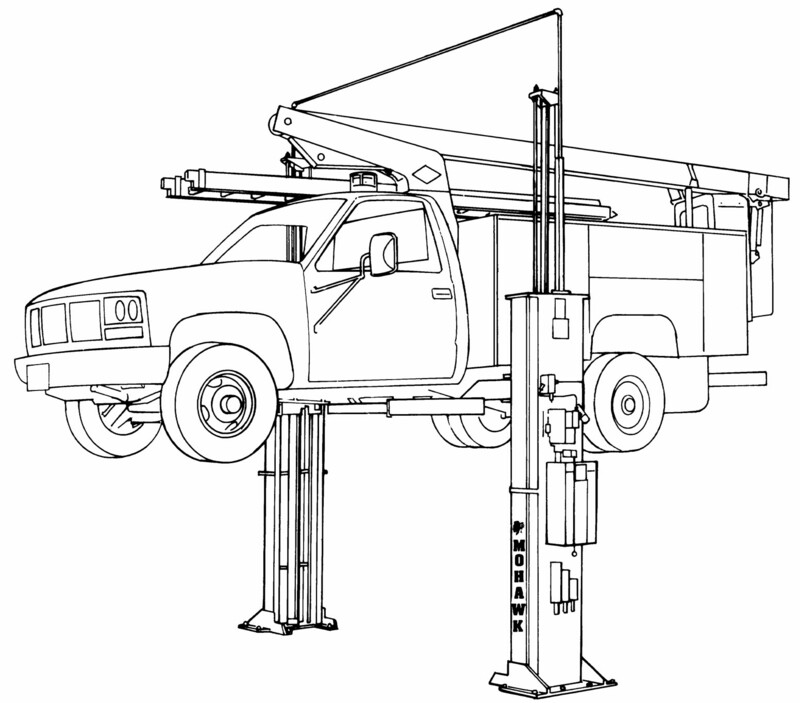 Surface mounted design and operation of the TP-18 and TP-26 avoids the environmental liabilities associated with in ground lifts. 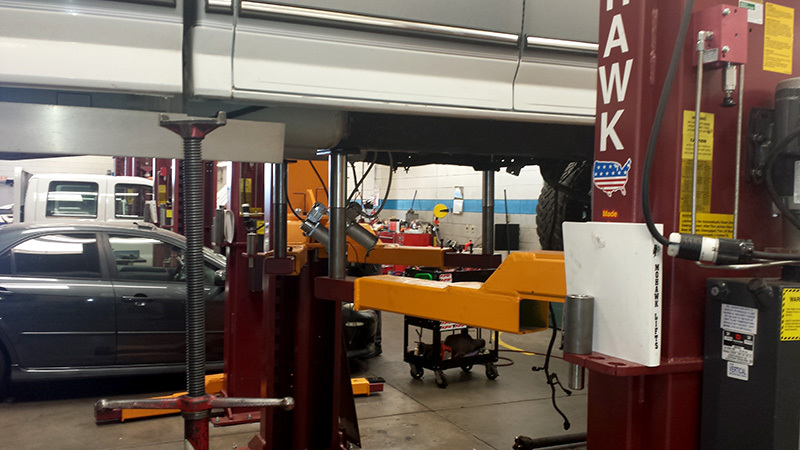 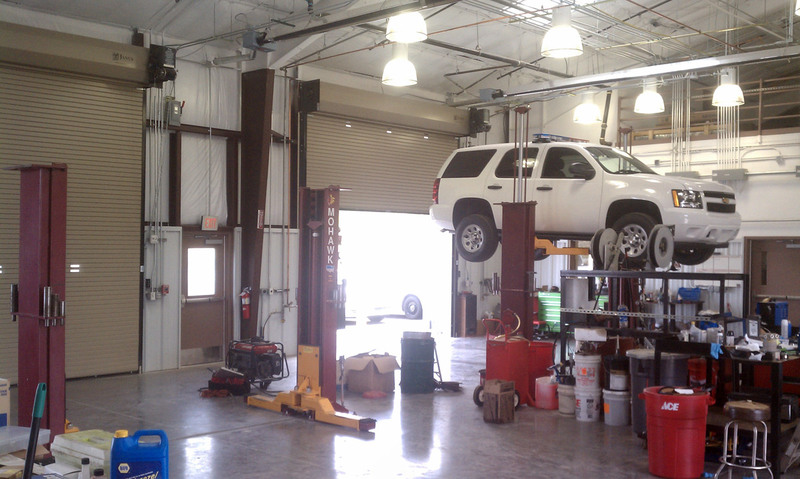 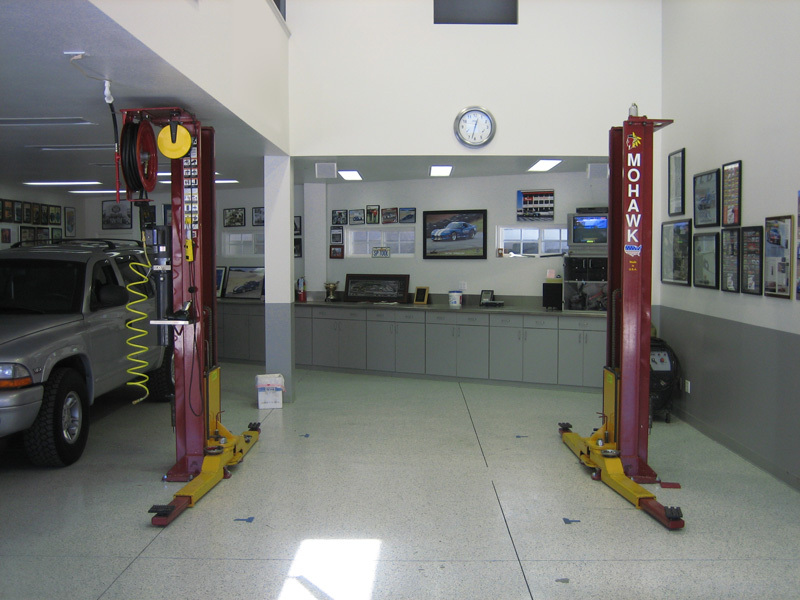 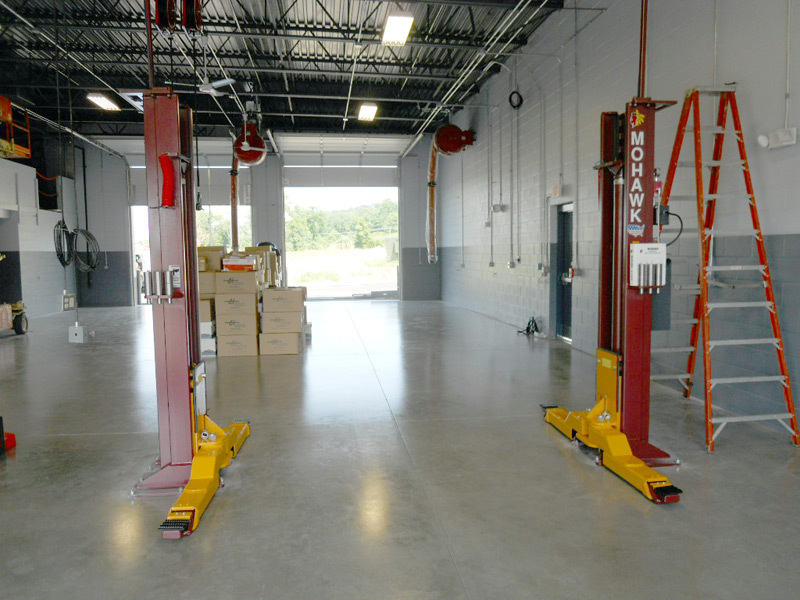 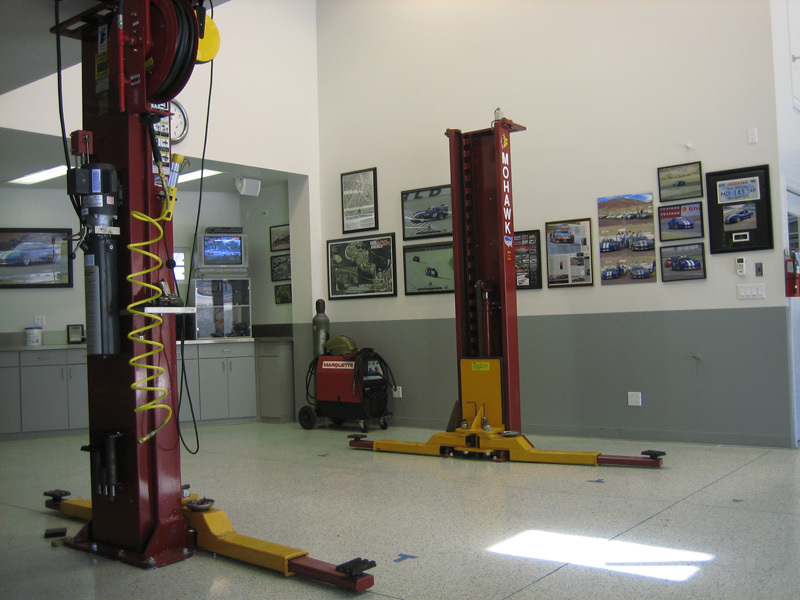 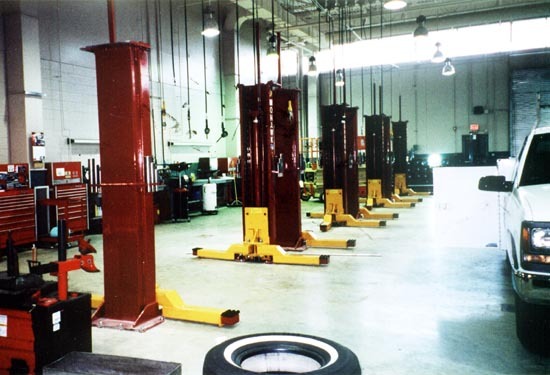 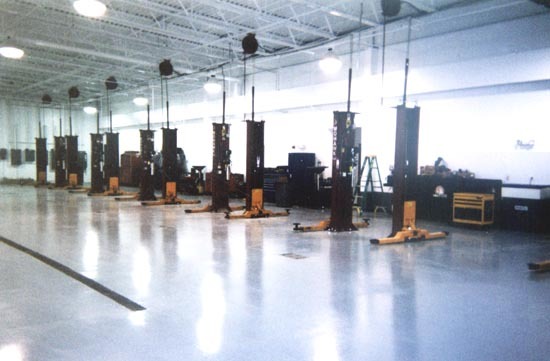 Clear floor work area between the lifting columns allows tool boxes and shop equipment to easily roll around the shop.